On top of that I’ve been trying to give up my coca-cola addiction and I completely fell off the bandwagon. Ugh. Although I do have to say, I completely enjoyed my ice cold Coke! Yummy! I think life is catching up with me. I’m soooo tired…even the caffeine from my soda fix did not relieve the exhaustion! Or the headache. Sometimes thoughts can cause so much pressure in my head. I believe that is the source of my headache…too many thoughts. I’ve often said that I overthink things…I don’t believe I’m overthinking at this point. I think there are too many thoughts in my head to overthink them…I can’t even begin to address them all. How do I effectively deal with all I need to deal with when my head is in such tumult? I just love these verses! Perfect peace – how could I not want that? I do believe that regardless of the trouble we encounter in our lives, we will be untouched at our core. I will have peace because I trust Him despite and through the storm. We will have a life of peace…perfect peace…despite the trouble because we have the Lord. If my focus is on Jesus not my circumstances my life is so much better. If my mind is stayed on Him I am not overwhelmed by difficulties. It reminds me of Peter walking on the water…as long as he kept his eyes on Jesus he was actually walking on the water. It was only when he took his eyes away and looked at the waves that he began to sink. I want to keep my mind stayed on Jesus. I want to keep my focus on Him mentally, emotionally and spiritually with a laser-like focus…I want to settle down and be with Him. I want to reside in His presence not just visit for a moment. I want to dwell with Him. With Him, is peace. With Him, is rest. With Him, is hope for today and hope for tomorrow. 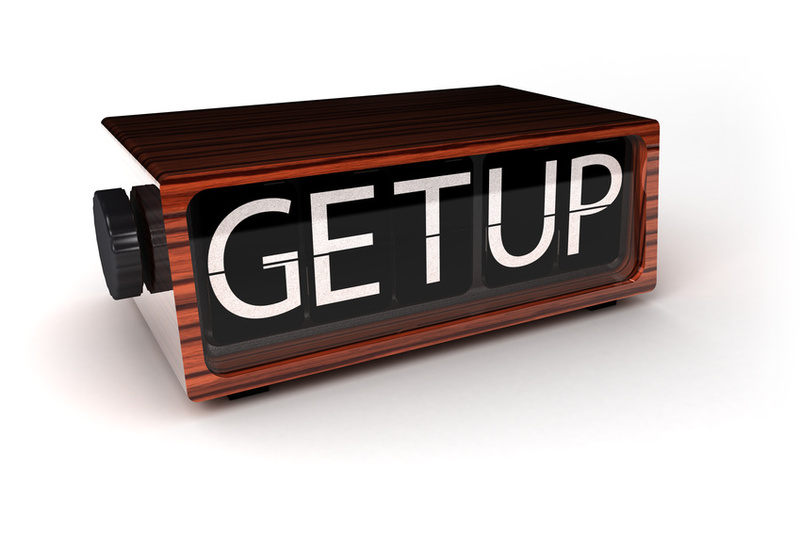 My hope for tomorrow is that I don’t hit that blasted snooze button so many times and that it is a headache-free day! But I’m choosing to focus on Him anyway so snooze or no snooze, I’m looking forward to tomorrow.